It’s never a pleasant experience to have to have a tooth removed, and most of those who go through this are just happy to have the whole ordeal over with. Who can blame them? Typically the extraction of a tooth is preceded by weeks or months of pain leading up to finally seeing a dentist and getting your teeth treated and the problem one removed. Unfortunately, this isn’t the end of the road, and having gaps in your jawline can actually result in problems of its own. In this article, we’re going to cover the problems you can experience after tooth extraction, and what kinds of treatments are available to correct it. Finally! That tooth is out of your mouth, the pain is gone, and now all you have to do is learn to live a life with a gap in your smile, right? Unfortunately not. Your teeth aren’t isolated units simply doing their job in a vacuum, they are dependent on the neighboring teeth for support and to spread out the workload. This means fewer teeth results in more wear on your remaining teeth, but also means that your teeth can begin to become crooked or misaligned as they suffer from the lack of support from the missing tooth. Additionally, your jaw will begin to deteriorate in those areas where you’re missing teeth as it is no longer supporting anything. What Can Be Done To Prevent Or Treat These Problems? The best solution is, of course, replacing the missing teeth, and there are a number of options for doing so. The most common and well known are what are called removable partial dentures, something we have all likely encountered sitting on our grandparent’s bedsides in cups of solution. While these are a good solution they also have a tendency to move around in the mouth and are prone to fragility. Still, they tend to be the most cost-effective solution available. For those who have better insurance or less financial concerns, there are also fixed bridges, artificial teeth that are supported by the neighboring teeth in your mouth, creating a ‘bridge’ between the two remaining teeth that’s filled in with a prosthetic. 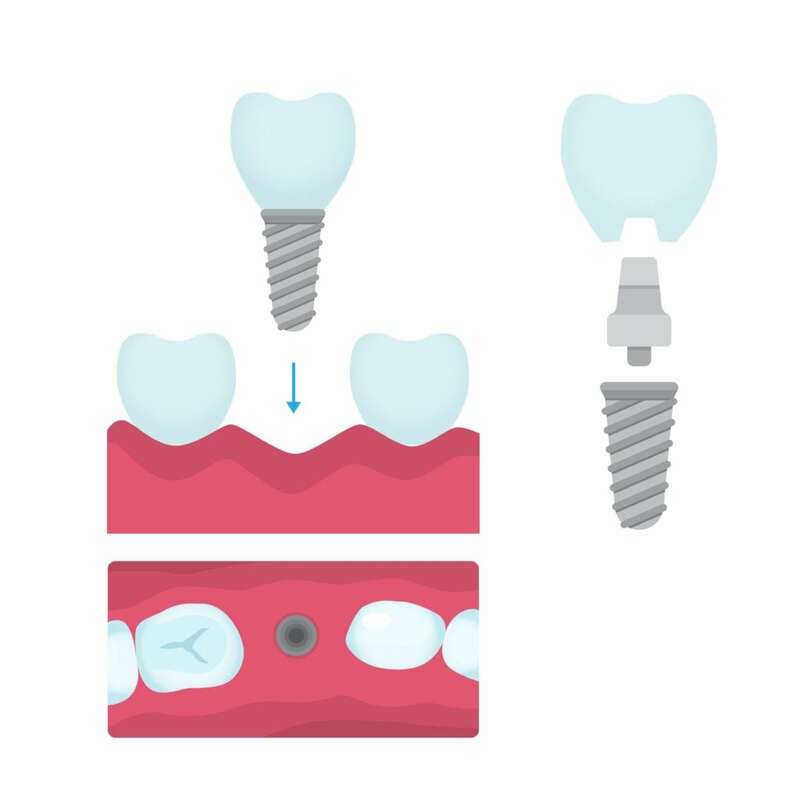 The ultimate solution is dental implants, prosthetic teeth that are mounted on titanium pegs that are inserted into the bone of the jaw. While this requires an extensive preparatory period, they are also the closest in appearance to your natural teeth and have a tendency to last a lifetime. When you’ve decided it’s time to deal with the gaps in your teeth and help preserve your teeth and jawline you need to pick up the phone and call an expert. If you live in the Covington, LA area you should stop in and see Dr. Ross Quartano at Magnolia Dental. They’ve been providing tooth replacement options for their patients and providing bright beautiful smiles for years. Don’t let your missing teeth continue to impact your smile and oral health, pick up the phone for an appointment and consultation today!